JQuery Responsive Gallery is distributed as an Adobe Dreamweaver extension, packed as a file, named JQResponsiveGallery.mxp. Read more in the online help. More and more people are browsing the web through their mobile device. So, this is becoming very important to make sure that everybody can enjoy your website from mobile devices with a variety of mobile screen sizes. Our jQuery Responsive Gallery will adjust itself automatically and will look attractive no matter what screen size or screen resolution the viewer has. All the gallery elements will be resized: the images will resize themselves along with the width of the container, category and thumbnails panels if necessary change the number of visible items. Image gallery allows you to incorporate HTML rich captions to each slide to make them look unique or add a hyperlink. You can hide categories list, thumbnails panel and set auto hide option for the controls. 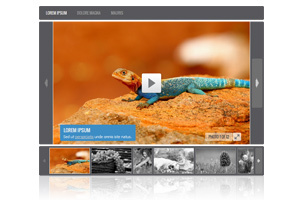 Gallery has fullscreen and slideshow modes with different parameters to customize, including animation easing effect, duration and delay of the transition. Responsive Gallery is powered by jQuery and it has clear and comprehensible Wizard, you can easily set up, change appearance and edit the content of the gallery without digging into CSS files or code! So you don't need to be an expert in web design and to know programming languages to add professionally looking gallery to your site. Just insert the gallery into your page and change parameters through Wizard according your design to match the site theme. More over gallery is using hardware acceleration, which improves performance and making animation smoother on mobile devices. Component is ready to work as soon as it appears on a page and is fast to respond. The installation package contains Dreamweaver extension, providing you the ability to easily create high-impact, HTML5-powered galleries, all in Dreamweaver CS3, CS4, CS5, CS6, CC 2014, 2015, 2017 and CC 2018. 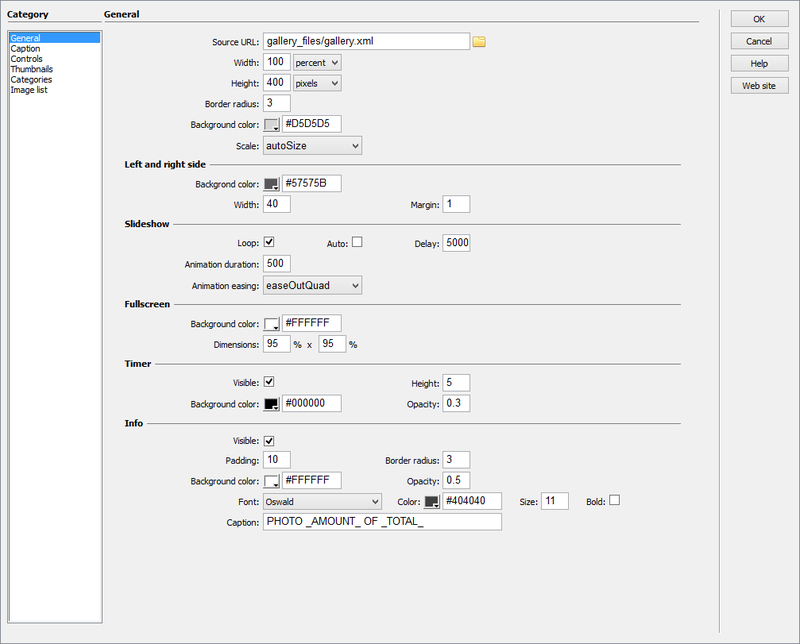 Using the user-friendly user interface, you can adjust all colors, fonts, sizes, spacing and wide range of options including more than 100 parameters that you can adjust according to your taste. Gallery can adapt its layout according to any screen resolution working perfectly on iPhones, iPads and other mobile devices. Gallery allows to add HTML code to the image caption, including hyperlinks to other site pages to make them unique and rich. Thumbnails and categories panles can be hidden. Controls are automatically hiding after a delay.